It's that time of year again. Flu season is upon us, marked by public health campaigns and reminders to get vaccinated. Every year, up to 5 million people worldwide fall severely ill due to influenza (flu), resulting in about 250,000 to 500,000 deaths. In the United States alone, nearly 111 million workdays are lost every season due to the flu. That equals approximately $7 billion per year in sick days and lost productivity. Flu is a highly infectious disease that is caused by a virus. It spreads rapidly through droplets coughed or sneezed into the air by an infected person. It is common, unpleasant and potentially fatal. 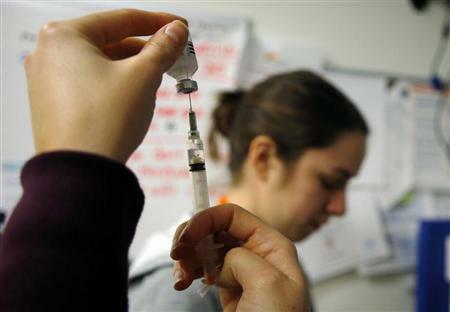 Flu vaccines provide effective, though not universal, protection against the flu. But despite public awareness campaigns in the United States and Europe, many people persist in the mistaken belief that antibacterial drugs — like amoxicillin and azithromycin — are the best treatment for flu. And many doctors simply surrender when patients demand them, ignoring the scientific and medical truth: when treating the flu, antibacterial drugs just don't work. A recent European survey showed that half of all respondents wrongly believed that "antibiotics" are effective against the common cold and flu. (Although widely used, the term "antibiotics" is a misnomer. Strictly speaking antibiotics only occur naturally and, as the vast majority of pharmaceuticals are man-made, we should describe them collectively as antimicrobials specifying the type of microbe that they intend to affect — antibacterial, antiviral, antifungal.) The results from surveys in other countries such as the United States and Australia are similar. Antibacterial drugs work against bacteria, not viruses. Flu is a viral infectious disease. Antibacterial drugs are not only ineffective against flu, but they are also harmful for three reasons. First, any drug can give rise to an adverse reaction, which in rare cases can be severe. It is common for antibacterials to cause diarrhea, but in 1 in 10,000 cases they may also result in anaphylaxis, an allergic reaction that is potentially life-threatening if not quickly treated. Second, drugs cost money and the use of drugs that don't work is a waste of money. In the United States one study estimated that over $1 billion was spent annually on 41 million unnecessary antibacterial prescriptions for adult upper respiratory infections. Third and most importantly, every time you take an antibacterial drug, sensitive bacteria are killed, but resistant bugs are left to grow and multiply. The misuse of these drugs has made antimicrobial resistance a global threat, so it is important that antibacterials are only used when they are likely to be of benefit in the treatment of an infection. This means knowing which infection you have and which drug is most likely to defeat that strain of infection. The ineffectiveness of antibacterial drugs in treating influenza has long been known to scientists, doctors and healthcare professionals. But, as we have seen, that information has yet to spread broadly enough to affect the behavior of would-be patients and clinicians alike. A study by RAND researchers showed that doctors were more likely to inappropriately prescribe antibacterial drugs to kids if they thought that the parents expected them. A number of public health campaigns have tried to raise public and professional awareness. Since 2002 the French have run the Antibiotiques c'est pas automatique (Antibiotics are not automatic) campaign. Similarly, the U.S. Centers for Disease Control and Prevention has been running the annual campaign Get Smart: Know when antibiotics work since 1995 with the aim of decreasing demand for antimicrobials among healthy adults and parents of young children. Both the French and U.S. campaigns have contributed to a drop of about a quarter in the number of antibacterial drugs that were being prescribed, with the biggest fall in children. While the impact of the public awareness campaigns on reducing inappropriate prescriptions should be celebrated, healthcare professionals are mis-prescribing antibacterial drugs for influenza, and we still expect them when we're ill. So as we enter flu season we all have a responsibility. Don't ask for drugs that don't work — it is dangerous and antisocial.